Dear members of our club! Lately you have received a message from the World Headquarters about the arrival of Pathways – a brand new educational program. It is a wholly revised educational system in Toastmasters which is to replace the current program you all are familiar with. The changes will not come overnight. There will be a TRANSITION PERIOD of TWO YEARS, during which the new and old programs will both be in place. > All your achievements like CC, CL and the rest will stay with you forever! In the next two years you still will be able to work on the old program. You will be able to do projects on the Competent Communication track, and take roles on the Competent Leadership track. So, you can become a DTM (Distinguished Toastmaster) in the next two years! > After 15 May 2018 each new member of our club will not receive printed manuals. With Pathways we go digital! All the educational materials regarding Pathways are online. 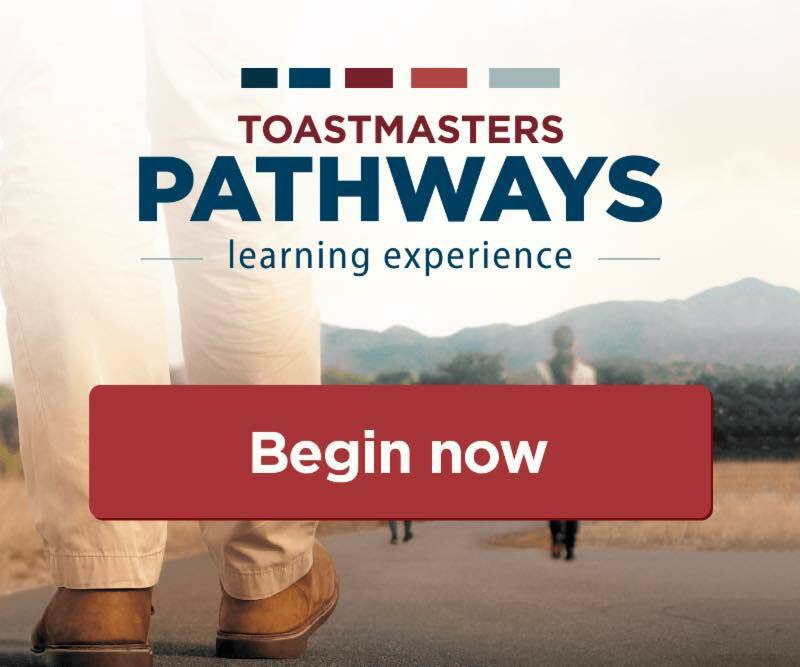 You will be able to read the description of a project, get feedback, and track you progress on you personal account on the Toastmasters website. However, if needed, printed materials can be ordered on demand. The new program is much more interesting, engaging, and exciting! > We will give a presentation on Pathways at the nearest meeting. > We will be answering to your questions.